Connor Paradis (Cassio) is a Boston-based theatre artist currently pursuing his BFA in Acting from Boston University. Recent credits include LUNA GALE (New Century Theatre), THE SKIN OF OUR TEETH (Silverthorne Theatre), THE WIZARD OF OZ (PaintBox Theatre) and ALICE IN WONDERLAND (Majestic Theatre). 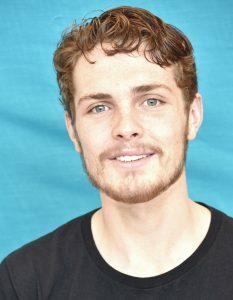 Following this production of Othello, Connor will be performing in THE LITTLE MERMAID with PaintBox Theatre in Easthampton, and, in August, will be directing a production of LOBBY HERO at Boston University’s College of Fine Arts, before beginning his senior year there.